Brazilian Jiu-Jitsu is getting more and more popular among the Hollywood A list celebrities. Famous people that train or have trained in BJJ include Ashton Kutcher, Prince Jackson (son of Michael Jackson), Marlon Wayans, Freddie Prinze Jr, Shaquille O’neal, Paul Walker, Scott Caan, Vince Vaughn, Henry Cavill etc.. The list goes on and on. Jonah Hill is known for several things, among them being an actor, director, producer, screenwriter, and comedian. He has starred in blockbuster hits such as Superbad (2007), Knocked Up (2007), Forgetting Sarah Marshall (2008), Get Him to the Greek (2010), 21 Jump Street (2012), This Is the End (2013), 22 Jump Street (2014), and War Dogs (2016), as well as his performances in Moneyball (2011) and The Wolf of Wall Street (2013), for which he received Academy Award nominations for Best Supporting Actor. Hill started training BJJ 2 months ago and he is training up to 4x a week. I started Brazilian Jiu Jitzu 2 months ago and try and train 4 or 5 times a week. In high school the dudes who did Jiu Jitsu used to beat the sh*t out of us at parties so it turned me off to it as an idea growing up. But quietly I always thought it was a beautiful art form . 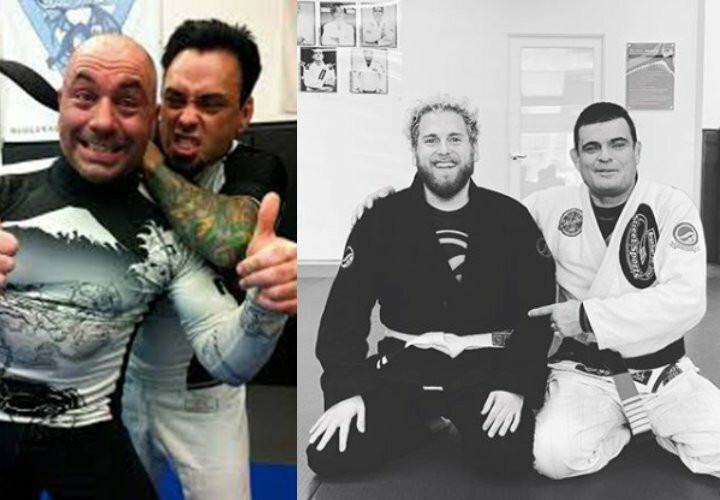 World’s biggest podcaster & BJJ black belt Joe Rogan together with 10P JJ leader Eddie Bravo talked about Hill’s transition to Jiu-Jitsu and it has to done to him and his body. Aside from the physical benefits that include getting stronger, faster and overall more athletic, jiu jitsu makes you humble. It shows you that weight, age, degree or background are all trivial in the grand scheme of things. You can change those variables over time, and the things that you cannot change, you learn to accept. You are not a superman or – woman, you are not immune to stress, dire situations or even tragedy. But there is always a way to handle it. Acceptance of your situation, whether it’s a daunting job or a resignation, is a crucial step towards being able to press START and play the next round. Because eventually you will win that next round. And the next. And the next. And in doing so transforming from a worrier to a warrior. 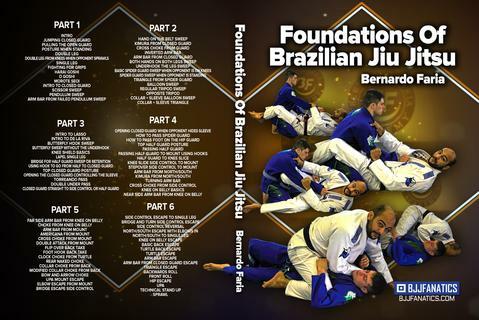 You will also want to take advantage of the new instructional series by the legendary Bernardo Faria, Foundations of Brazilian Jiu Jitsu. Bernardo is a five time world champion and one of the most sought after instructors in the world. As one of the sports most accomplished competitors, he has done something that many athletes are unable to do. He has been able to translate his BJJ knowledge in a way that is applicable to EVERYONE. You do not need to be a gifted athlete to benefit from Bernardo’s knowledge. Do not miss this one. You will not be disappointed.